The relationship that prevails between a brother and a sister is full of love, warmth, care and naughty fights. Bhai Dooj is the perfect day to express your love and care. If you are seeking Bhai Dooj gifts for brother, then Winni is the right platform. This Bhai Dooj, celebrate this gorgeous bond with your loving brother by presenting a wonderful bouquet of Bhai Dooj flowers. Winni brings for you an exclusive range of Bhai Dooj flowers for brother giving you an excellent choice right from the convenience of your home. 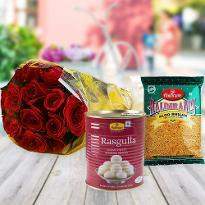 Order and send Bhai Dooj flowers who is miles away from you to express your affection. Bhai Dooj is the special occasion that commemorates the relationship between siblings. It’s a wonderful day that entails how much siblings love and care for each other. On this day, sisters apply a tikka on brother's forehead, as a symbolism of adoration and protection. Sweets, chocolates and gifts are exchanged between sisters and brothers. The ritual of sending gifts to brothers and sisters is a tradition. It’s a way to shower love and affection on near and dear ones. If you are having trouble in selecting Bhai Dooj gifts for brother, then you don’t get tensed about it. Winni is here to assist you regarding this matter. Now, on the divine occasion of Bhai Dooj, Winni presents you a wide range of Bhai Dooj gifts for brother to make him feel extra special. 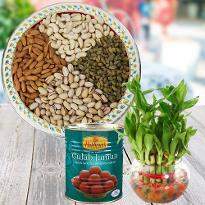 We have wonderful gift hampers especially created for your loving brother. 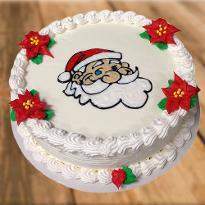 We also provide photo cakes that can be the best-personalized gift for your brother. Gifts are considered to be the wonderful way to express emotions and when it comes to shopping for Bhai Dooj gifts for brother, then Winni is the right platform. Winni provides a massive collection of Bhai Dooj gifts. Now, you can choose the best Bhai Dooj gifts for your brother. The divine occasion of Bhai Dooj is marked with many rituals where sisters shower their love and care by completing all the rituals. It’s the day that celebrates the special and strong bond between a brother and a sister. It is also the best day for sisters to delight their brothers. So, as a sister, you should make the celebration full of happiness by presenting Bhai Dooj gifts. Show your adoration towards your beloved brother so as to make him feel special by presenting a meaningful gift. If you are seeking for a gorgeous gift to pamper your brother then here comes a mesmeric collection of Bhai Dooj gifts for brothers which will definitely delight your brother. Bhai Dooj or Bahu Beej is one of the greatest festivals that signifies the love between brothers and sisters. It’s a wonderful occasion that is meant to add more love and warmth to the sibling’s bond. The fourth or the last day of Diwali is referred to this occasions. Get Bhai Dooj gifts for brother and make your bond stronger. Bhau Beej or Bhaiya Dooj commemorates the bond between siblings and like other occasions, this is one also that call for fantastic gifts. Gift something heartwarming to your brother on Bhaubeej. 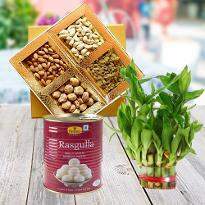 Flower bouquets, chocolates, cakes, bamboo plant, sweets, dry fruits are the best gift which you can give to your brother on Bhaiya Dooj. Blooming flowers along with cake and chocolates will win the heart of your brother. Gifts are the convenient way to convey warm wishes and blessings. They help a lot when we are short of words and want to convey our emotions. They are the best way to convey care and love. So, this Bhaiya Dooj, order Bhaubeej gifts for brother and heighten the joy of this festival. Bhaiya Dooj festival commemorates the festival for the longing of the ultimate and adorable bond between siblings. It’s an occasion that maintains and keeps the relationship on the top. Nowadays celebrations are incomplete without gifts. Gifting has become so natural and obvious that festival is considered to be complete only when gifts are exchanged with dear ones. When it’s about delighting brother on Bhaiya Dooj then online gifts are the best choice. 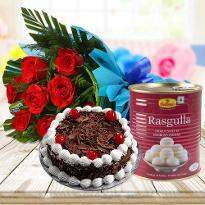 Order online Bhaiya Dooj Gifts for your brother and send to surprise him. Winni provides online Bhaiya Dooj gift delivery so that you can send your love to your brother’s doorstep. Whether you are living in Australia, USA, Canada or any other part of the world, you can easily send Bhaiya Dooj gifts to infuse sweetness in your relationship. So, don’t wait anymore and place your order online for Bhaiya Dooj gifts now!. We at Winni are always here to help you when it comes to choosing the best gift for your brother. Making perfect use of our services, you can even mark your presence just by sending a desired gift to your loved one's doorstep. Earlier it was not easy to send gifts from abroad. 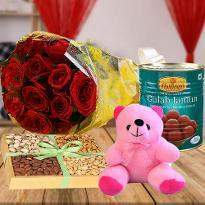 However, it’s has become possible to send gifts online because of the availability of renowned portals like Winni. So, you can easily buy and send Bhaiya Dooj gifts to your brother in India. Our privileged delivery services include Same day delivery, midnight delivery, Earliest 4 hours delivery and express delivery. So, go ahead and buy Bhaiya Dooj gifts for brother and get it delivered for the same day or any other time slot which you want. Products in this category have been rated 4.9 out of 5 based on <131/span> reviews.